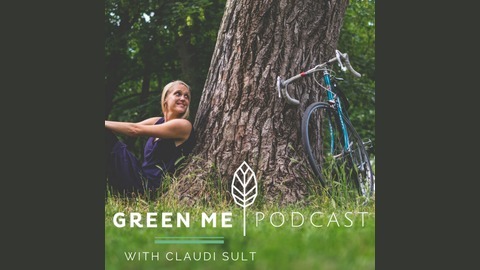 Claudi is your passionate expert for the urban green scene - bringing dedicated ecopreneurs & changemakers together in one place! This is where she goes out and chats to the coolest eco-minded businesses and startups of Berlin and beyond, showing you what's happening in the thriving sustainability scene. 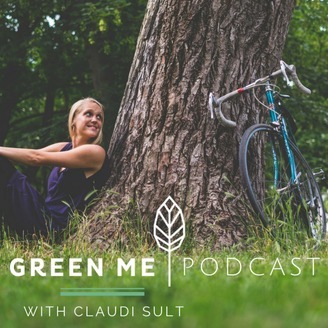 For this podcast, Claudi is getting the most inspiring green founders and world improvers in front of the microphone and tries to extract their stories, dreams and passions about moving things forward. You'll get to know those people and brands who work hard to make your life happier, healthier and greener, without making it complicated. No matter if you travel to Berlin, live in this vibrant city or were even born here - this show is here to inspire you how awesome it is to go green, be positive and go through the world with a huge smile on your face. We promise it's contagious. Times have never been better, we all can leave a massive impact with our daily actions, step by step while having heaps of fun. Claudi shows you how, so join her on her journey and start changing the world with me right now. Links: www.greenmeberlin.com www.greenmeberlin.com/podcast Download a best-of guide to some of my favorite green places in Berlin for free: www.greenmeberlin.com/newsletter Go on tour with us and meet the heroes of the Berlin green scene in person: www.greenmeberlin.com/tours Join the GreenMe Berlin community on Facebook www.facebook.com/greenmeberlin Instagram www.instagram.com/greenmeberlin Twitter https://twitter.com/greenmeBLN. The topic of food waste - or better anti-food waste - has popped up a lot in my life lately - and I’m so grateful that (apart from all the daunting numbers of how much food is being wasted) it mainly came up with a positive solution in tow. Usually in the form of a dedicated group of people, who tackles this issue, without waiting until governments or the big players out there do something. They have an epiphany that there’s just too much food waste and we gotta do something about it. Baaam! That’s exactly what happened to today’s interview guest & her co-founders. And I’m so excited that we finally make this interview happen with Anna from DingsDums Dumplings (@dingsdumsdumplings)! Saving food alone is great, but then there’s the question what to do with all these 5 million tons of edible food that us Germans throw away each year? How to turn them into something that’s tasty and extends its shelf life even further? Together the three young founders, Jillian, Mauritz and Anna found a way to make it happen: As DingsDums Dumplings, they are creating super delicious dumplings from surplus food. Hope you’re ready for an episode that leaves you inspired & hungry for more! This episode has been supported by our friends at bookitgreen, who are - just as us - working to get people excited about greener ways of travelling. You all know I am a strong believer in the power of travel for good & think that connecting across cultures & borders is key to building a kind, compassionate & caring global community. At the same time, we have to be super mindful about our footprint. bookitgreen is an online platform, a startup from Berlin, that makes it easy to find and book sustainable accommodations - really great places, usually not part of a big multinational chain. Their goal is to bring together all the accommodations that do the right thing and offer exactly what mindful travellers are looking for - without having to compromise a bit. You can find tons of beautiful hotels, B&B’s and lodges in Portugal, Spain, France, Italy, Germany, Austria and Switzerland, with plans to cover more of Europe soon. ...If you took value out of this episode, please share it with your friends and leave us a short review on iTunes. Your feedback is important to make the show better and spread the messages to more people. Thanks so much for supporting us! ...Lastly, if you wanna stay up to date with the latest interviews, green events, tours and our explorations in the Berlin green scene, sign up for our monthly newsletter. We got a little thank you if you do so: we’ll send you our best-of guide to 7 of awesome eco-minded places in the city for free. Thanks so much for listening! Now go out, soak in some positive future vibes - and always be prepared to be amazed!